Like taxes and death, it’s virtually inevitable that you will fill up your hard drive. In decades gone by, that might mean scrutinizing the data stored there and figuring out what to throw overboard to free up space. But, storage is relatively cheap, and there are a variety of options available to extend your storage capacity. If you’re at the point where your drive is critically low on space and you need to consider your next move, you can either upgrade by replacing the drive with a bigger one, expand by adding a second drive or external storage, or extend by taking advantage of cloud-based storage options. Each solution has pros and cons. Let’s examine each separately, beginning with simply replacing your nearly full drive with a much bigger drive. One solution for expanding storage capacity is to simply upgrade to a larger drive. The primary benefit of upgrading your drive is simplicity. It may not be the simplest solution to implement, but once the drive is in place it offers the most direct, convenient access to your data no matter where you are. If you’re upgrading the drive on a laptop, you will expand your storage capacity without having to carry around additional hardware or relying on the availability of a stable, relatively fast Internet connection. If you want, you can just partition the whole thing as one massive “C:” drive and not even worry about which drive or partition you’re installing software or storing data on. Another benefit of expanding storage by replacing your drive with a larger one is that it’s the most cost-effective option. 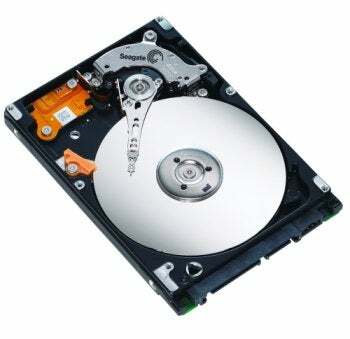 Internal drives are cheaper than their equivalent external counterparts. Some cloud data storage is free, but the free versions are limited in size and features, so using cloud services beyond a few random files will require ongoing subscription fees. There are two serious caveats to replacing your drive. First, it’s a tedious and invasive process. You have to install your operating system on the new drive, as well as all of the applications you use, and move all your data from the old drive to the new one. You can back up everything on the old drive, or capture an image of the drive as it is, and restore that to the new drive. The best-case scenario is that it takes a long time to get everything moved and restored, but it’s all there and ready to go. The reality is that you will probably experience some road bumps and hiccups to troubleshoot to make sure everything is installed and configured properly on the new drive. The second caveat is that replacing your drive with a larger drive is simply a Band-Aid. No matter what size drive you use, it has a finite capacity that will eventually be filled up, and you’ll find yourself back at square one trying to figure out how to add additional storage. Assuming you elect to expand your storage capacity by replacing your drive, you’re still not quite done with the decision process. Now, you need to decide what type and size drive to get. You can get a traditional hard drive, a solid state drive (SSD), or a hybrid of the two like the Seagate Momentus XT line. Solid state drives are significantly more expensive than standard hard disk drives, and only come in smaller capacities like 128GB or 256GB, so they won’t really help you expand your storage capacity unless you choose to upgrade to SSD in conjunction with adopting additional external storage, or cloud data services. When it comes to size, get the biggest drive you can afford. After all, no matter how big the new drive is, it will eventually get filled up, so you want to buy yourself as much time as possible.